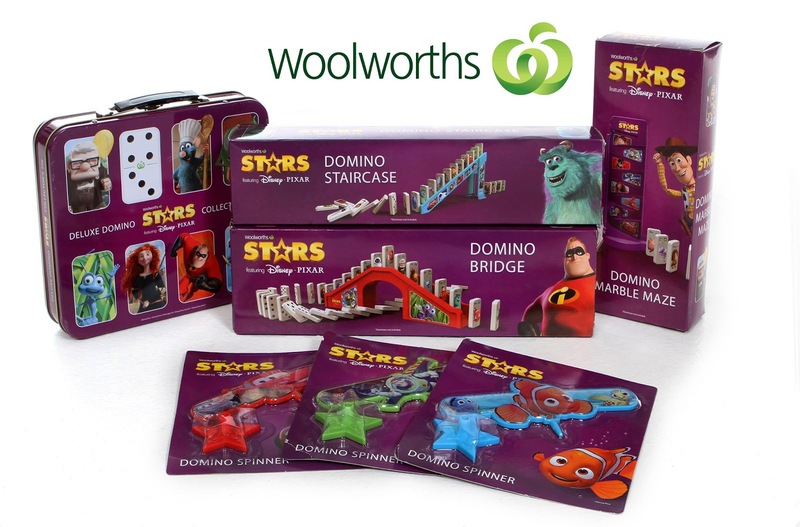 Last year around this time, Australia's mega grocery store chain Woolworths Supermarkets (as well as their subsidiary company in New Zealand called Countdown Supermarkets), released an awesome collection of Disney·Pixar dominoes and related accessories called "Domino Stars!" 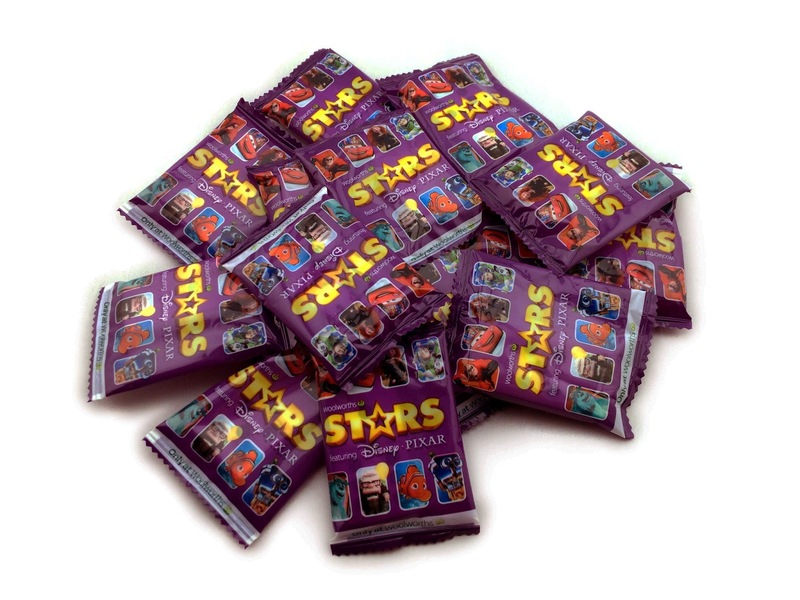 I present to you the full assortment right here. 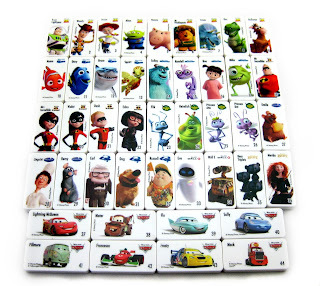 The scoop: Each domino was given out in blind bags- so you didn't know who you got until you opened them! 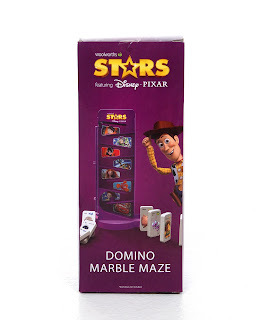 For every $20 you spent at the store (which is about 14 US dollars), you would get one free blind bag domino. 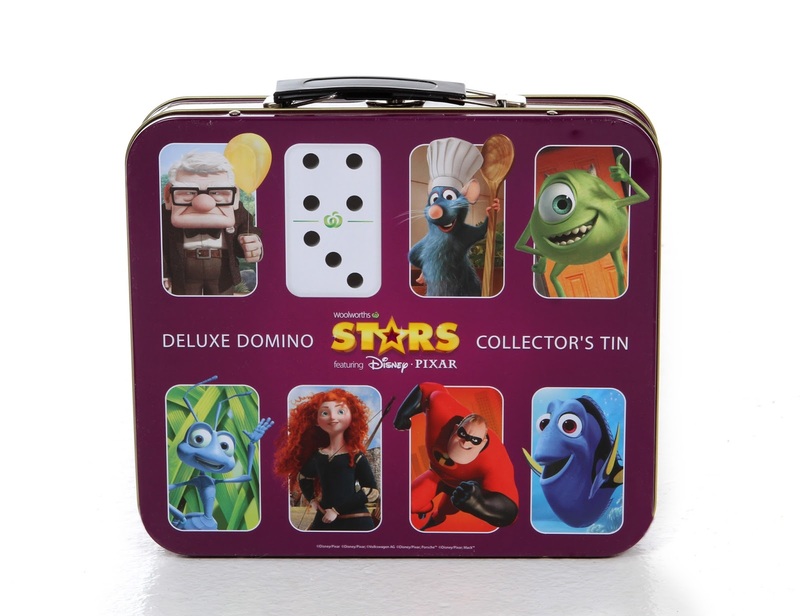 During the limited time that these were available (March 4th-April 14th 2015), they became a huge trend in both Australia and New Zealand. 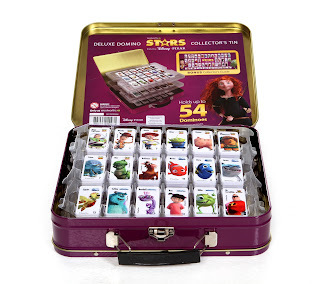 Disney and Pixar fans of all ages went crazy (and spent lots of money) trying to track down each of the 44 dominoes featuring characters from every Pixar film up through Monsters University. Facebook pages, forums and other sites (as well as in person events) were created just for collecting, swapping and trading them. 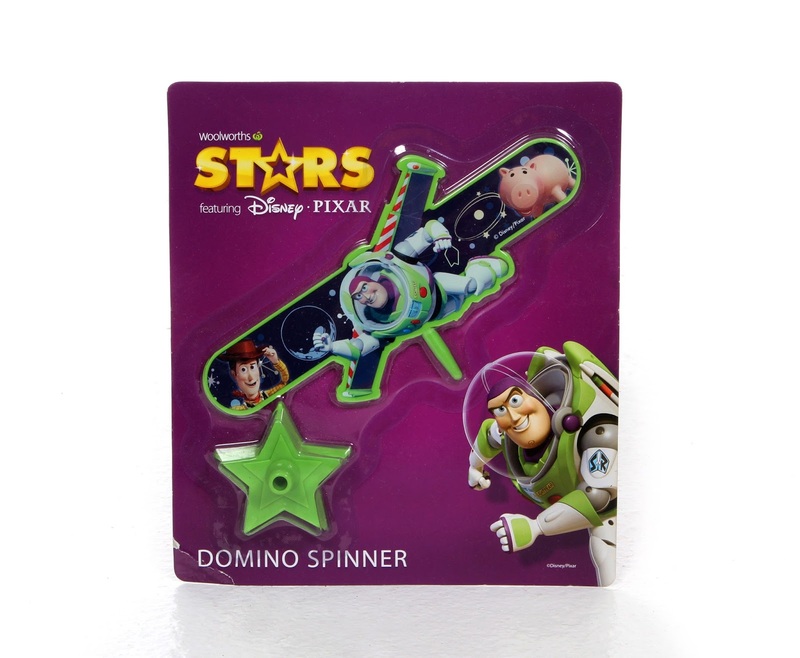 You could say there was a huge Domino Stars cult following. 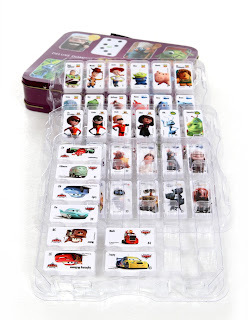 Check out some of my blind bag stash below! In March last year when all this craze started, I commented on someone's Instagram post about how cool I thought the Domino Stars were (having no idea who he was or where this would lead). His name was Chris and he actually messaged me back saying that he would help me collect all of them since he lived in Australia and bought lots of groceries from Woolworths often! The kindness and generosity of this man was absolutely incredible. For several months, Chris would go to Woolworths a couple times a week to get groceries (which meant dominoes for me) and would email me updates with what he got. He would even go to trading events to help track down the missing characters he couldn't find. 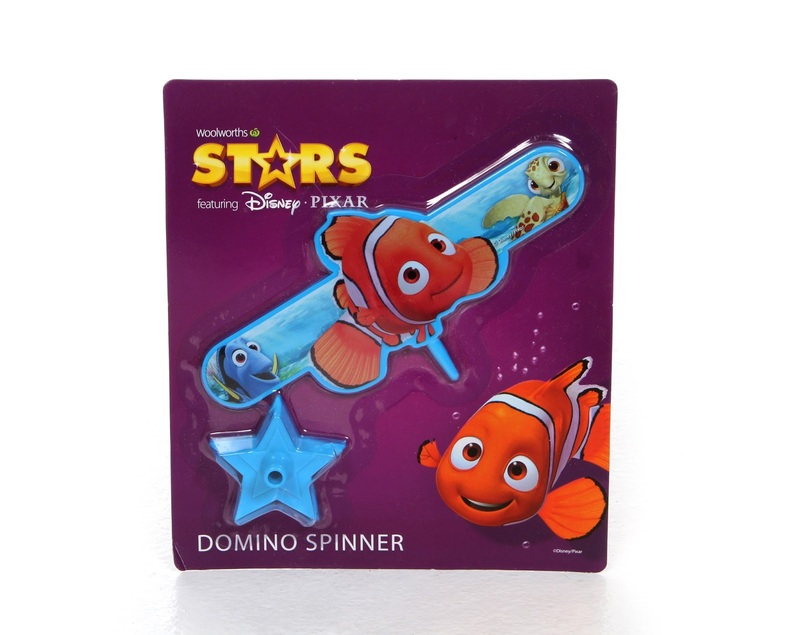 In short, he eventually tracked down each of the 44 dominoes and mailed them to me along with every single accessory from the collection (which he had to go to several Woolworths to find). That was last May, so this post has been a long time coming. Ultimately he wanted nothing in return. 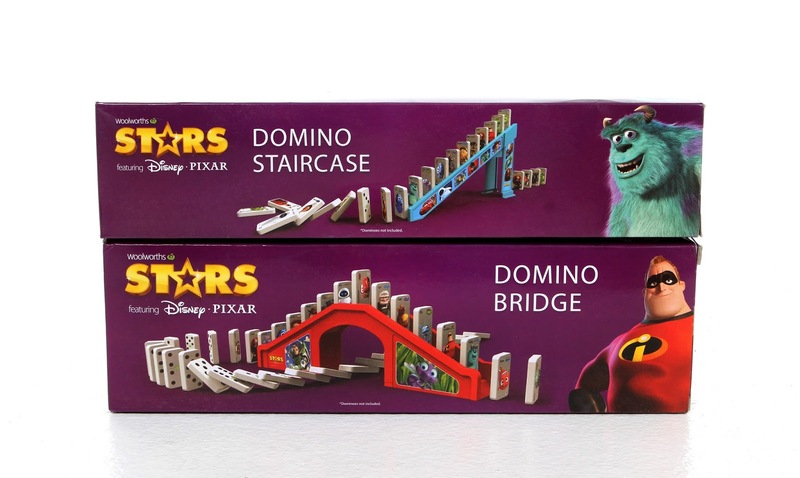 How amazing was it of him to help a total stranger on the other side of the world track down Pixar dominoes? Chris, if you're reading this, I really can't thank you enough! (1) Buzz Lightyear, (2) Woody, (3) Jessie, (4) Alien, (5) Hamm, (6) Mr. Pricklepants, (7) Trixie, (8) Rex, (9) Bullseye, (10) Nemo, (11) Dory, (12) Bruce, (13) Squirt, (14) Sulley, (15) Randy Boggs, (16) Boo, (17) Mike Wazowski, (18) Mr. Incredible, (19) Mrs. 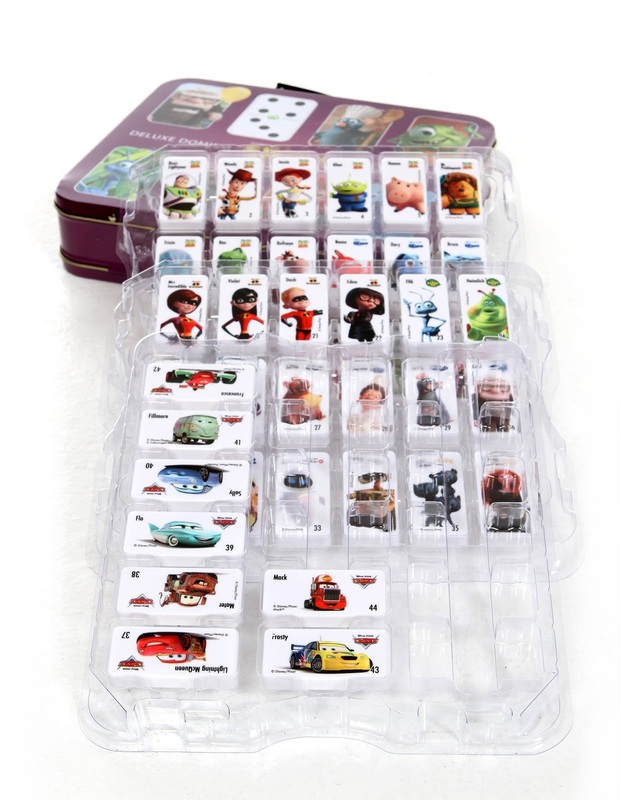 Incredible, (20) Violet, (21) Dash, (22) Edna Mode, (23) Flik, (24) Heimlich, (25) Princess Atta, (26) Princess Dot, (27) Emile, (28) Linguini, (29) Remy, (30) Carl, (31) Dug, (32) Russell, (33) Eve, (34) Wall·E, (35) Bear Triplets, (36) Merida, (37) Lightning Mcqueen, (38) Mater, (39) Flo, (40) Sally, (41) Fillmore, (42) Francesco, (43) Frosty and (44) Mack. Note: You might be asking yourself, who is Frosty and when did he appear in Cars 2? Frosty Winterbottom only appears in the Australian version of the film. 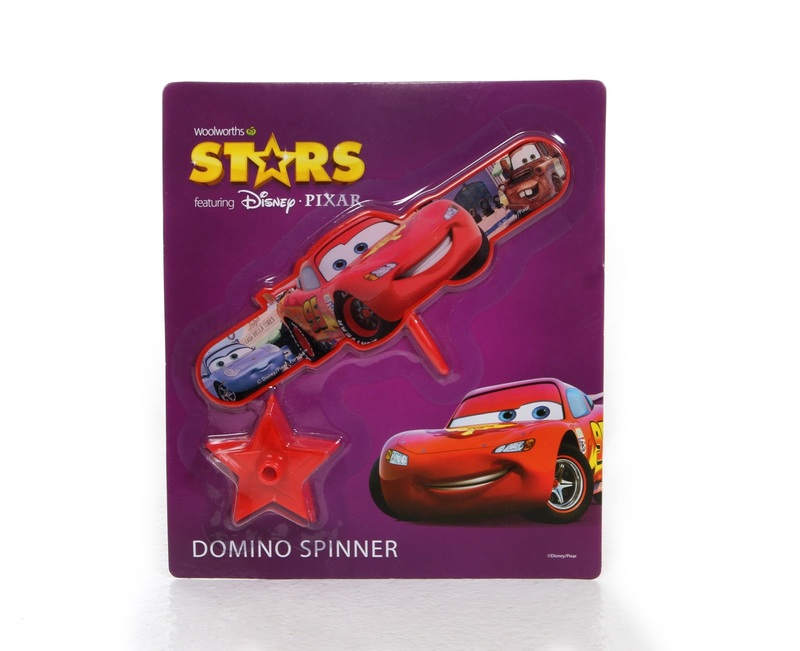 He replaces the US version's Jeff Gorvette character. 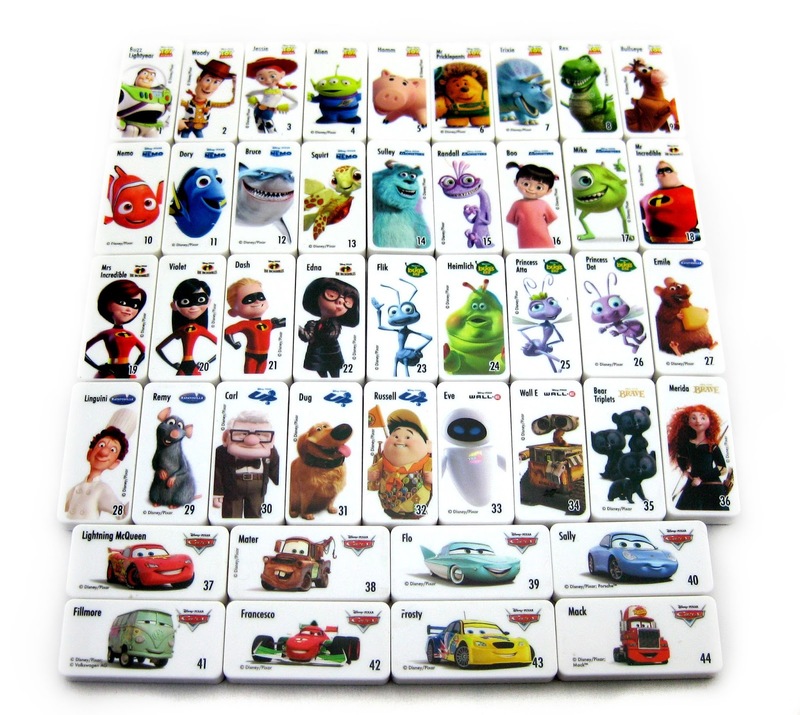 This is part of Pixar's "localization" process that they do for each of their films. Check out all the awesome sets and accessories that were available. 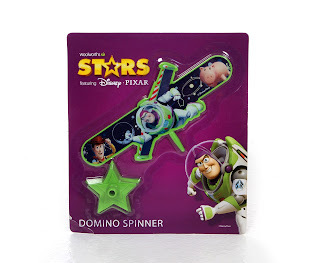 These were more easily obtainable than the dominoes themselves, since you could just purchase them on their own there at the register. 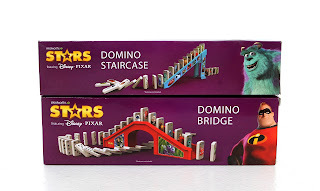 They make playing with the dominoes that much more fun- an absolute must! How cool right? Such an amazing and unique collection to have here in the US. I'm so grateful to have the full collection thanks to Chris! If you're looking to purchase some of your favorite dominoes (or all of them for that matter), check out this direct link to current eBay listings. Also, be sure to check back here in a few days as I'll be updating this post with a video of them in action. Stay tuned!